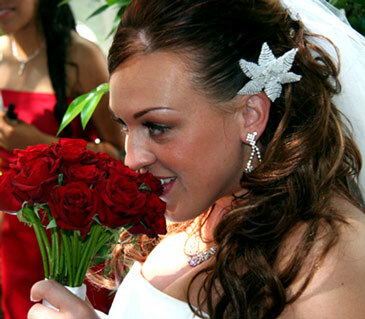 On the most romantic day of your life, your hairstyle should be equally as romantic. When choosing your bridal hairstyle, instead of something trendy and modern, you can opt for an elegant, classy look the epitomizes romance and femininity. 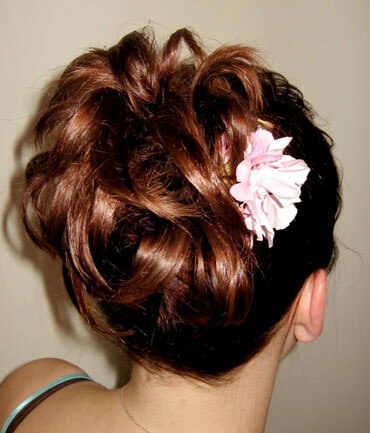 A bun that is low with several strands of hair loose, falling on the nape of the neck, is a very romantic style. A French pleat is a classic bridal hairstyle that is very romantic. By adding flowers or hair jewelry, you make this 'do even prettier. A bun or other updo that is undone, rather than tight, will make your hair look less stuffy and more romantic. 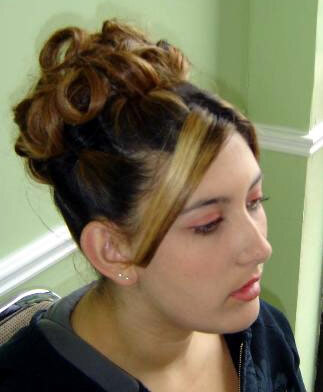 This style looks great on brown hair with blonde or red highlights. 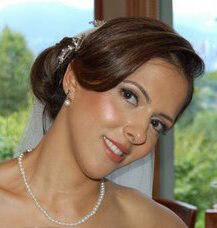 A structured updo with wisps of hair around your face is perfect for your wedding day. If you like your hair long, also consider a half-up, half-down look. Hair that is left long and wavy is very carefree and romantic. Add flowers for a beach or garden wedding. Bridal hair accessories such has crystals, headbands and tiaras add an element of romance that shouldn't be over looked.